Join Chae McGuire, jewelry and beading artist, at the JCM Studio to make your own Hat Pins! We will be using a variety of high-quality gemstones and gold/gold-filled wire to create custom pieces. While we are busily constructing our hat pins, Chae will give us a brief history of hat pins, and demonstrate how to properly wear one! Click here to register. Registration includes materials to create one hat pin, and additional hat pin kits will be available for $10 at the class. 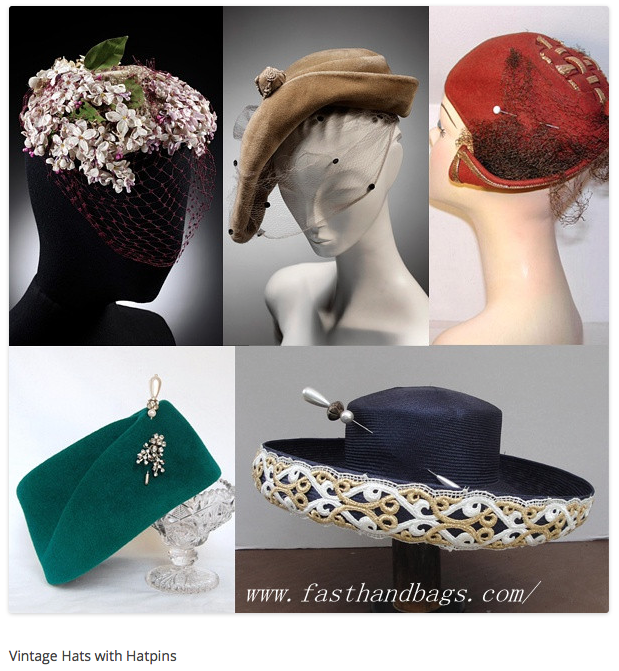 Before the class, check out the American Hat Pin Society for inspiration, and Jill's recent post for the Royal Hats blog on how the royals keep their hats on. Chae has been making jewelry for over twenty years, and designing for 10. She loves photography and travel, and picks up supplies in whatever country/city she travels to. Chae works exclusively with high quality materials, stone, glass, antiques (never plastic! ), and gold/gold filled wire for wire wrapping. By day, she manages an equal employment opportunity program and mediates discrimination complaints and workplace disputes.